John Poindexter, convicted felon and retired Admiral, tried to create a huge data mining network of government and corporate databases for the Bush administration, but was forced to resign by an avalanche of bad publicity. Now he seems to have sold this plan to Singapore, with a few changes. Peterson, (Poindexter’s associate in this venture) provides the money quote, feeding the dream with words that every tech believer longs to hear. “Essentially, [RAHS is] a strategic tool that ties together every one of the agencies in a government into a large network that is constantly scanning the horizon looking for weak signals that point toward the possibility of a significant event that would have important implications for Singapore,” Wired quotes him as saying. There are other, more meaningful ways to talk about what Peterson means by his exceptionally vague phrase, “weak signals”. Vague phrases are useful whenever a more accurate, more precise one would exude an unfortunate air of truth, and here one is deployed with care. “False positives” would give us some precision here in place of “weak signals”, (emphasis mine) and it invokes one of the defining features of the process of data mining, which is a moderately useful marketing tool now promoted to the status of a national security crystal ball. And as for false negatives, surely, in the past five years, at least a few terrorists have flown commercially, and perhaps quite a few. They’re not being caught because, unlike the dumb technological tools deployed against them, human adversaries learn. When one thinks of data mining as a threat, one takes steps to avoid detection. Innocent people don’t take steps to protect themselves so they get “caught” every day. Meanwhile, the terrorists run rings around the national security agencies and their magic machinery. It is beginning to look as though the only thing that changed with Poindexter’s resignation was that we lost the few fig leaves of privacy protection it retained. The NSA has continued and expanded a program of domestic spying. Bush has built a secret system, without enabling legislation, justified by executive fiat and presidential findings alone, deliberately operating beyond the oversight of Congress and the courts, and existing outside the law. Many times I have heard or seen discussions of individuals or pundits or reporters saying that they, or most people, are willing to give up some privacy in order to make us more secure. Now it looks like we get nothing for being detained, questioned, bullied, inconvenienced, and embarrassed by data mining and security measures. All we get for all the intrusive domestic spying, data mining, and loss of privacy, is to add ourselves to the huge statistical bank of false positives. Data mining is good for feeding targeted advertisements to likely punters. It can improve returns on an advertising investment by increasing the likelihood that a consumer will actually find a particular product or service interesting, although it is still an incredibly blunt instrument. Still, if it increases the response rate to an advertisement from, say, two per 1,000 to six per 1,000, it’s a real money saver. But is it a real life saver? We have seen data mining in action in airports, and it appears that every single “detection” has been a false positive. Meanwhile, an unknown number of undesirables continue to move about via commercial air travel. We can’t know how many times this has happened, but it doesn’t matter. Even if it’s happened only once, the rate of false negatives, too, is 100 per cent. Terrorists and criminals are caught when they make mistakes. They confide in the wrong person and are ratted, or their communications are intercepted, or they arouse suspicion in the real world because of their behaviour. Governments across the globe are already engaged in data mining and analysis to a degree unimaginable a decade ago. But much of it is confined to single agencies. The next logical step is to unite the databases, according to Poindexter’s ambition. It’s not going to work, and it can well be criticised on grounds of wasting money and resources — but from a privacy point of view, really, who cares at this point? If the FBI is already reading my email and listening to my phone calls without a warrant – if the TSA is already scouring my credit history every time I book a flight – why should I care if the DOD can as well? We might as well invite everyone to the privacy-invasion party. In which we learn who really wants us in Iraq, a bit more about family values, exactly who serves at the pleasure of the president, and much more. The United States uses military bases to maintain a colonial presence in countries around the world. The US version of the colony is the military base. 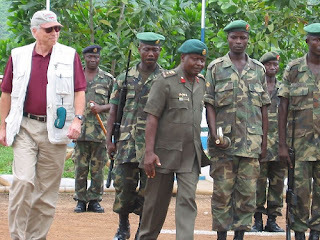 The US press has carried very little news or discussion about Africom. And the citizens of the US need to know a lot more about what their government is doing in their name. US news media tend to be insular and cover very little news outside the US, and continue this pattern in their non-coverage of Africom. And yet hardly was the announcement made when the Bush administration organized the overthrow of the first stable government Somalia has had since 1991, stirring up a hornet’s nest of regional rivalries in the strategic Horn of Africa. This does not bode well for the direction of US policy. The US news media that I saw generally reported this Somalia action as a positive or “anti-terrorist” action supported by the US. As usual, there was little to no background or analysis. The Bush-Cheney administration cannot be trusted for two reasons. The first is that they are incompetent. The other is their intentions are bad. Controlling oil, and oil profits, and maximising defense industry profits, often at the expense of the US soldiers and citizens, has been their most visible goal. The White House’s plans for Africa, which reach far beyond the Horn, are part of a general militarization of U.S. foreign policy. A recent congressional report found that “some embassies have effectively become command posts, with military personnel in those countries all but supplanting the role of ambassadors in conducting American foreign policy.” . . . A major U.S. base in Djibouti houses some 1,800 troops and played an important role in the Somali invasion. Once again, Bush has embarked on an ostensibly legitimate mission – greater security for America and Africa, and fighting terrorism – with methods that will accomplish the opposite. first-ever computer programming competition in the Ashanti region.The competitors are selected from thirty (30) Senior Secondary Schools in the Ashanti and Brong Ahafo region. The competition is both incredibly challenging and fun; it is interesting to note that students who participated in the past competition have started developing software applications. You can see pictures here, courtesy of Ghanageek. It is wonderful to see the fierce intelligence and concentration of the young people reflected in these pictures. And it is wonderful to see female competitors as well as male. This should not be a project that is dependent on only one private donor for the majority of its financial needs. There really should be more official and private weight behind this. The computers the kids used. Again I got to see a lab full of old machines dumped on people in need who can’t complain and which we will have issues dealing with when they finally break. Africa is becoming way too much of a dumping ground for crappy old hardware and too many times its under the guise of altruism. As a general observation too, these school labs might be a great place to introduce linux to kids. The schools are already broke with old hardware and yet trying to run Windows XP. it would be nice to be able to teach the people running those labs basic Linux admin and networking skills and use them to run their labs. I thoroughly agree about the problem with “altruists” dumping crappy hardware on Ghana and other poor countries. And there should be a lot more government and private money invested here. 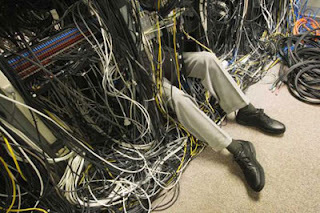 Despite problems such as bandwidth, hardware, and collecting the necessary training expertise, I think linux is the way to go for any country who does not want to be the captive of a particular company, particularly one located in another country, and for any country that does not want to be locked into paying extortionately prohibitive licensing fees. Brazil and other countries in Latin America have been catching on to this. Loyal Bushie justice takes a hit here today. GM mosquitoes to fight malaria in Ghana? that wild insects (middle) lack. Scientists believe that genetically modified (GM) mosquitoes could become the latest method of targeting the spread of the deadly disease malaria. The GM strain of malaria-resistant mosquitoes outcompete their natural counterparts when fed malaria-infected blood, researchers from the John Hopkins University in Baltimore claim. As such they believe that introducing GM mosquitoes (transgenic) into the environment could help to eventually replace natural mosquitoes. There are still a number of questions and controversies to be addressed before releasing gm mosquitoes into the wild, but this has huge potential for positive impact on the health and economy of many countries around the world, including Ghana. Researchers led by Marcelo Jacobs-Lorena at the Malaria Research Institute at Johns Hopkins University in Maryland created genetically modified mosquitoes by giving them a gene that made it impossible for them to pass on the plasmodium parasite that causes malaria. 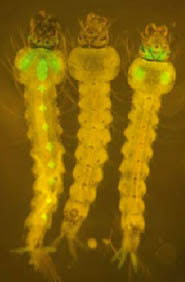 Over time, the researchers found that the GM mosquitoes slowly became the majority, reaching 70% in nine generations. The finding was hailed as welcome proof that GM mosquitoes, made with cheap laboratory techniques, could ultimately have a greater impact on malaria than chemical sprays and other treatments. Trials in sub-Saharan Africa, where malaria claims the life of a child every 30 seconds, could be conducted within five years, but scientists will first have to prove as far as possible that the resistance genes will not trigger a more aggressive form of malaria, or spread to other insects. I watched the Plame hearings on tv yesterday. Some of it was quite riveting. CSPAN may be a bit slow moving and “boring” to some. On the other hand, it is what’s happening, as far as the US present and the US future goes. 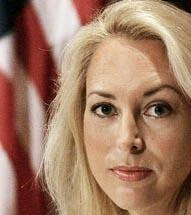 The most striking thing to me was when the director of the Office of Security for the White House, Dr. James Knodell, revealed that there had been no White House internal investigation of who had leaked the name of covert CIA agent Valerie Plame. Although Bush said they would investigate, and whoever leaked would be fired. I also understand that the White House has a legal requirement to investigate. The major players still have their security clearances, except Scooter Libby, who lied and obstructed justice, making it impossible to complete the investigation and formally identify the leaker. Of course the White House didn’t need to make any investigation because they already knew who leaked. Every time the President, the Vice President, and Karl Rove look in the mirror, they can recognize the leaker.